Since the introduction of certain federal banking laws, researching the fastest sportsbook payouts for USA players can initially seem to be a hassle. While many bettors put their primary focus on getting funds onto the books, finding quick and reliable sportsbook withdrawal methods is equally as important. Each year, certain options become obsolete while others are added to the sportsbook withdrawals list. This is actually a bonus for bettors as there are now options that are a great deal more expedient than those of the past. When choosing a sportsbook, you need to look for what withdrawal methods are available for Americans. The site may offer a wide array of options, but only a few options will be available for U.S. players. If you are not sure what they are, contact the site and find out. Some criteria to look for when searching for the fastest U.S. sportsbook withdrawals will be any fees attached to specific methods, and more importantly, limits to how much you are able to take out at a time. Even best USA betting sites put a cap on how much players can withdraw at one time. What Is The Fastest Way To Get Money Out Of Online Sports Betting Sites? Bitcoin Sportsbook Payouts - There is no doubt that Bitcoin is the fastest payout method available at USA online sportsbooks. All of the US sportsbooks we list offer it as a payout method, and this is the fastest way that they will send you your winnings. Most sportsbooks only complete Bitcoin transactions Monday through Friday, but they will usually complete them within 12 hours during that time. All you have to do is send them a Bitcoin address and they will send the amount requested to you in Bitcoin. You can also use other cryptos such as Ethereum, DASH, Litecoin, and Bitcoin Cash when available for payouts that are just as fast. Option #2 - While there are many quick payout methods that can be used for bettors in the United States, there isn't one better than through a Western Union wire transfer. Most sportsbooks will say that a Western Union transfer can get to a bettor within 5 business days. This is still under a week, which is better than just about every other method outside of digital currencies. All you have to do is visit a retail location and use your ID to pick up your cash! 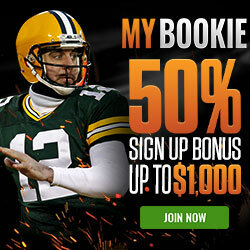 Bovada is the most popular offshore sportsbook in the US, and it boasts millions of satisfied members. Now, one of the key considerations when it comes to sportsbooks with the fastest payouts is that those books actually pay their customers. And while all the books we recommend are dedicated to timely payouts and customer service, no book has a better reputation for immediate payouts than Bovada . This is likely due to the site’s more limited withdrawal options, as you can only claim payouts via Bitcoin, Bitcoin Cash, or courier check. While competing sites might offer payouts that suit your needs better, Bovada has opted to streamline by offering only the most common and reliable methods. If you request your Bovada sportsbook payout via BTC, you will typically have your request processed within the hour. Additionally, there are no added fees for withdrawing via Bitcoin, making it the most financially friendly method for bettors who are already set up to use the cryptocurrency. The Bitcoin and Bitcoin Cash withdrawal minimum at Bovada is $10, while the maximum is $9500. You can request a BTC payout every 3 days at Bovada. If you opt to receive a courier check to claim your winnings, you can choose to receive one check payout for free per 90 days. You can request them more often, though these will come with processing fees of $100 for each additional request. Checks also take a lot longer to arrive, usually averaging between 10-15 business days. Courier check withdrawals from Bovada must be for at least $100 and can be for no more than $3000. MyBookie, while newer to the game, understands that timely, guaranteed payouts are what make or break most online sportsbooks. To that end, you have a variety of options when it comes to claiming your winnings. However, as with most books, Bitcoin is the number-one way to quickly and inexpensively receive your payouts. With a Bitcoin withdrawal at MyBookie, your request is guaranteed to be processed within two days at the most, and once initiated, you will have your BTC deposited directly into your digital wallet within minutes. Generally speaking, it is impossible to find a faster, more reliable payout method than Bitcoin, though MyBookie ups the ante by ensuring that your request is approved ASAP in order to more expediently kick off your BTC transfer. Other withdrawal options available at MyBookie are slower, but they’re particularly good for more traditionally-minded bettors, as many folks aren’t yet on the Bitcoin bandwagon. If you haven’t taken the crypto plunge just yet, you can request your MyBookie payouts via wire transfer or e-check. Wire transfers will usually incur large fees and take up to a week before you can claim your money stateside, while e-checks are faster but come with similar high fees. Neither method can compete on Bitcoin for pure speed and convenience, but it’s definitely great to have options, and MyBookie is dedicated to making sure you can get your winnings reliably and safely, all in a manner that works for you! The information below is a complete rundown of withdrawal methods commonly found at betting sites that allow USA players. These options are what you should be looking for when selecting a new online sports gambling website, or even at your current online sportsbook. All of the methods are trusted, legal, and safe for American sports bettors. There are many reasons as to why you should be using Bitcoin when asking for payouts from online sportsbooks. A few of the reasons for using Bitcoin are that you can get lightning fast payouts, there are no added fees, you don’t have to give out any personal information, and much more. In fact, some online sportsbooks are using Bitcoin exclusively for all payouts since there are some issues when offering checks by mail, wire transfers, and the like. The good news is that all of the online sportsbooks that accept USA players are now offering Bitcoin payouts, with limits ranging from $20 to $10,000. Check by courier is still one of the most trusted sportsbook withdrawal options. It is simply a check from a payment processor delivered by mail, usually with a delivery service that requires a signature. Checks should arrive at your doorstep within one week, with fees usually no more than $50. A sportsbook transfer is when you send funds from your account to another account on a participating site. These types of withdrawals have become less common, but are usually expedient when available. Sportsbook transfers may or may not having incoming and outgoing fees. A bank wire is a transfer made directly into your bank account form the sportsbook. This method is fairly common for U.S. players and is an excellent option if you are asking for a large sportsbook payout. Online cashiers will transfer up to $25,000 at most sportsbooks. Depending on your bank, your winnings will be available in your account within 5 - 15 business days. You will need to verify fees with the online cashier and your bank. This is much like a bank transfer but instead of having funds sent into a checking or savings account, you can have cash waiting for you at the nearest Western Union or MoneyGram transfer station. These can be some of the fastest sportsbook payments, but they can also be some of the most expensive, too. Fees range from $26 to $50 depending on the amount transferred. A prepaid card is basically a debit card that is loaded with funds from your sportsbook account and can be used at most ATMs or stores. This method is becoming increasingly popular for its speedy payouts and ease of use plus it is also one of the fastest ways to deposit into online sportsbooks. It is not as common, but some sportsbooks do offer their own prepaid cards. There are no offshore sports betting sites that offer payouts with debit cards. There are certain federal banking laws that restrict U.S. financial institutions from processing credit/debit payouts from overseas gaming sites (i.e. the UIGEA). If you want your earnings deposited directly to your bank account, opt for a bank wire payout. While most of the methods listed above are available on a range of sites, there are still certain protocols one must follow to ensure the fastest possible payout. First off, you need to make sure there are no requirements to be met before making a withdrawal. Some sites may make you wait a certain number of days after receiving a transfer from another player or make you bet a certain amount if you received a bonus (“rollover”). These are just some of the limitations you may run into, so it's best to check with site support to make sure you understand all withdrawal stipulations. The next and most important step you need to take is making sure your identity and age are verified through the site. Most sites will not allow you to request a withdrawal until you send in specific documents to verify yourself. In most cases, it is usually the front of your government I.D. and a current utility bill. This process usually only takes a day or so to complete, but once finished you should never have to do it again. Your best option is to complete this process as soon as you sign up for a site. How fast can I cash out my winning at online sportsbooks? The answer to this question will completely depend on the sportsbook that you are betting at. But with that being said, the average time for all of the sportsbooks that we list on our website is less than 3 days. Bitcoin sportsbook withdrawals are the fastest, with your winnings reaching your BTC wallet the same day depending on when you put in your request. What personal information do I need to provide to request a payout at USA sportsbooks? The answer to this can vary a little bit, but there is some general information that most USA sportsbooks will require before they cash you out. You will have to provide at least one form of I.D. (like a copy of your driver's license) at every sportsbook. If you used a credit card to deposit, you will need to provide a copy of that card, sign a credit card form supplied by the site, and maybe even provide a copy of a light bill or similar document. Do I need to give my social security number to request a payout? No, you typically do not need to provide a social security number to request a payout. The verification process usually only involves the standard identity documents and a credit card form. Do any USA online sportsbooks offer instant payouts? The closest thing that you have to instant sportsbook payouts is Bitcoin if you live in the USA, which usually takes only a few minutes after being processed to be transferred to your wallet. All sportsbooks, however, ask that bettors allow 24 to 48 hours for their withdrawal requests to be processed. So make sure to take the additional day or two into consideration when estimating when you will receive your payout.